Okay, so maybe it's not officially quittin' time yet, but it's basically the weekend. And, since it's also National Margarita Day, we've got all the more reason to celebrate. Time to turn your Friday into a tequila-soaked celebration, and we've got just the drink to help you do so. 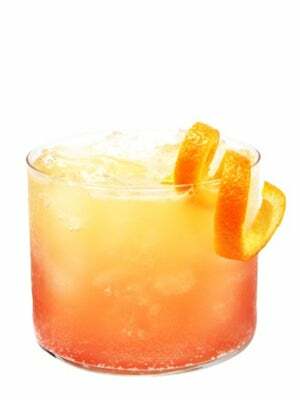 This blood-orange margarita is equal parts sweet, tangy, refreshing, and of course, boozy. So, grab a bottle of Tequila Avión and get the party started. In a cocktail shaker, add all ingredients with ice. Shake and strain; best served over fresh ice and garnished with an orange twist.